last week i got to play around with some ruffle fabric. if you've not seen this ruffle fabric yet, or if you have not been able to sew with it, you are missing out. this ruffle fabric is so easy to work with and so easy to make stuff out of that this skirt took me all of... i don't know how long because it was so fast. i made it just like i made my mad men skirt the one made out of two pillow cases a while ago (only this time i didn't make it as full) and this time i didn't have to make a hem because this fabric doesn't need it. see super easy. the fabric color i used for this skirt was the charcoal cascading ruffle . 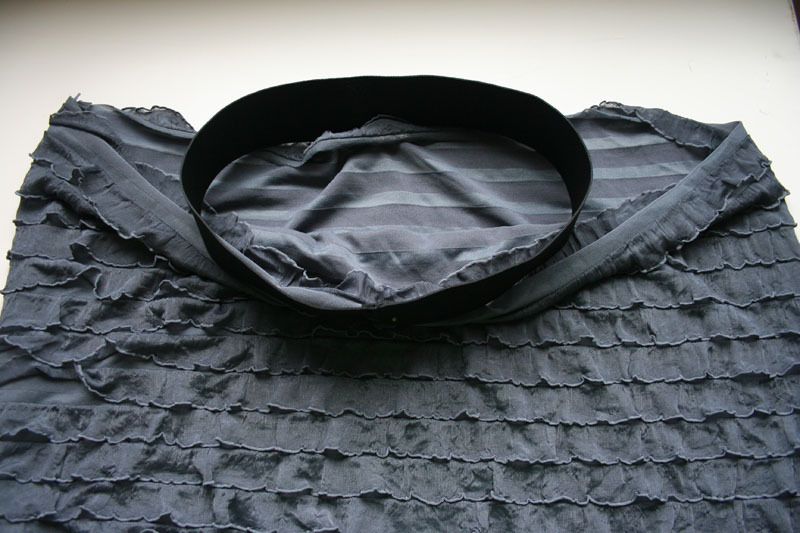 there are other colors and width of ruffles as well on the site to choose from. i've sat and check out the site and know what i want to try next! when i made this skirt i was excited to see how it turned out...but honestly i think that it turned out better because it makes me feel super pretty, and girly. picture courtesy of my annoyed 9 year old who takes awesome pictures. measure around lower hips + 10"
first i measured around my lower hips or a little lower depending on your age (for those of you who don't know what i'm talking about that just means you are still too young to know...but for the rest of you i'm talking about the largest part part of your bum that used to be a lot higher and now no matter how hard you try to perk that baby up , that part of your body just doesn't want to do what it used to do like when you were... oh say 18.
yeah that part of the buttocks that's what i'm talking about. measure around that. then i added 10" to it because i wanted the skirt to be a little fuller so it would give me cute curves. 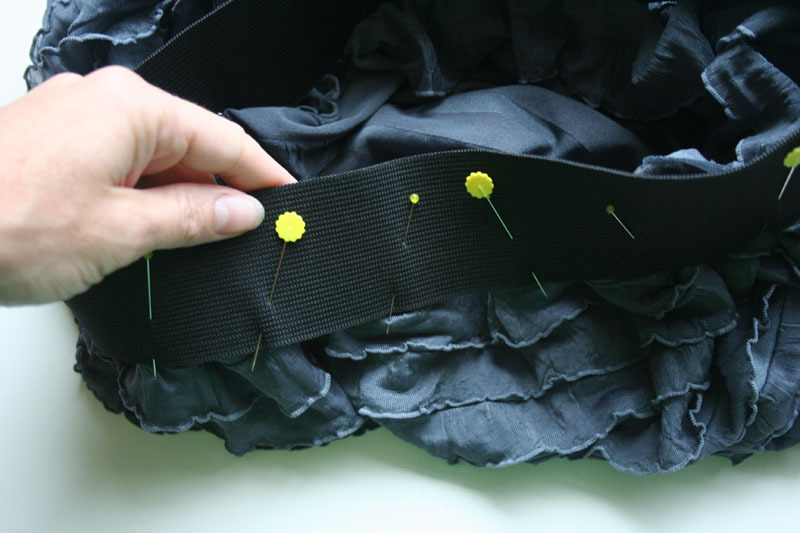 measure down from your waist to where you want the skirt to hit you. take that measurement and then measure your fabric with the ruffles going vertical. 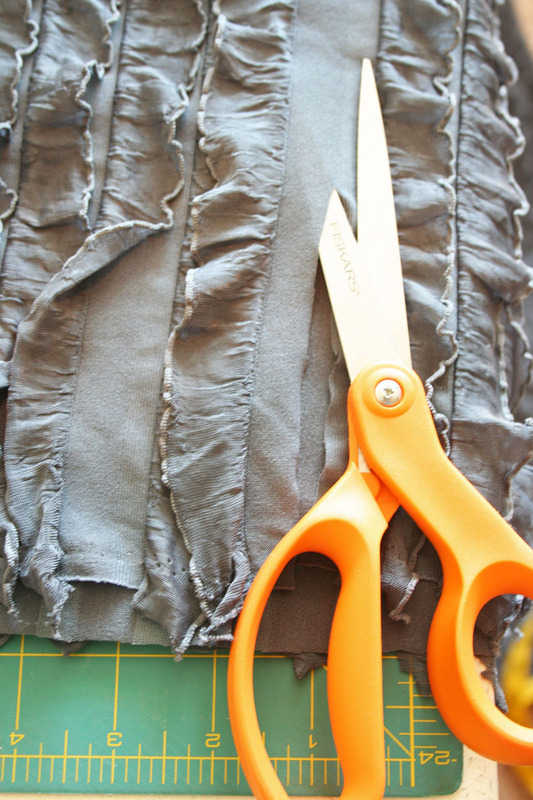 -find the nearest ruffle and then ADD ONE EXTRA RUFFLE TO THE MEASUREMENT, and cut under the extra ruffle. 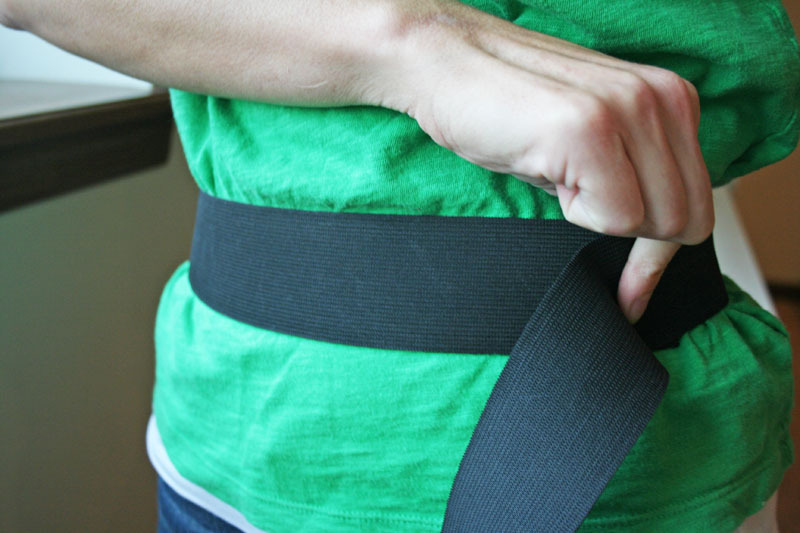 next grab your elastic, and place it around your waist. (i wanted a high waist so i did it right around my waist. - you want it snug, but not corset snug...so pull it gently, enough that it's comfy. - pinch it and make sure you have 1/2" overlap, cut the excess. -sew your ends using a 1/2" seam allowance back stitching at the start and stop of your stitch. -to cut down on the bulk of the seam, press open your elastic seam and sew down each side. 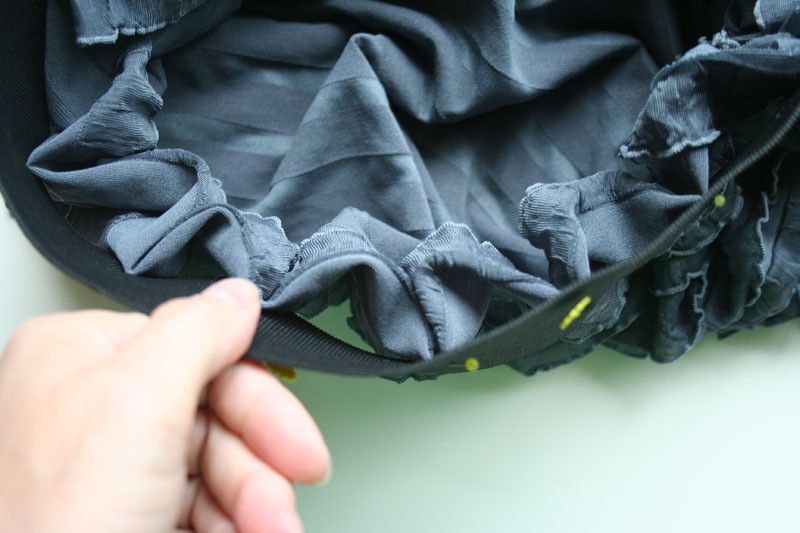 -right sides together (and making sure your ruffles meet up, and are all facing the same way) pin in place your fabric on the length side of your skirt. -turn your skirt right side out. 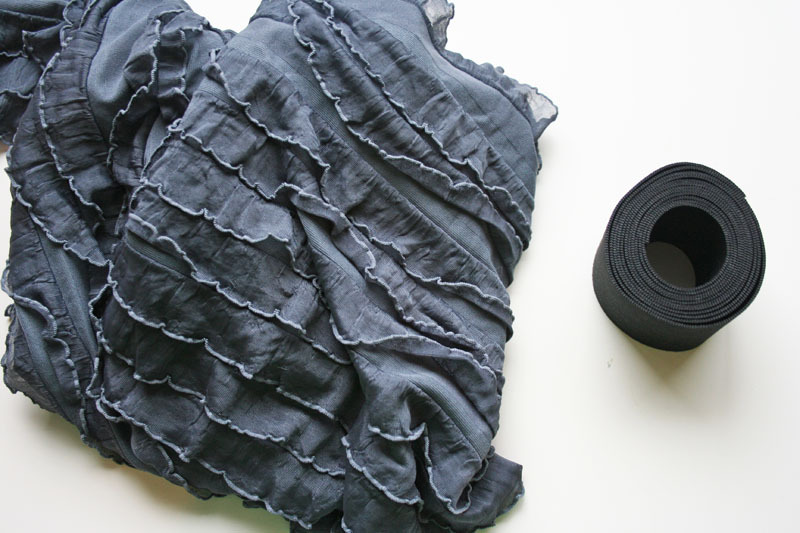 -now that you have your elastic waste band all made, and the tube of your skirt made, it's time to make it into a skirt. - IMPORTANT- look at the picture above. notice how i placed the first ruffle up. 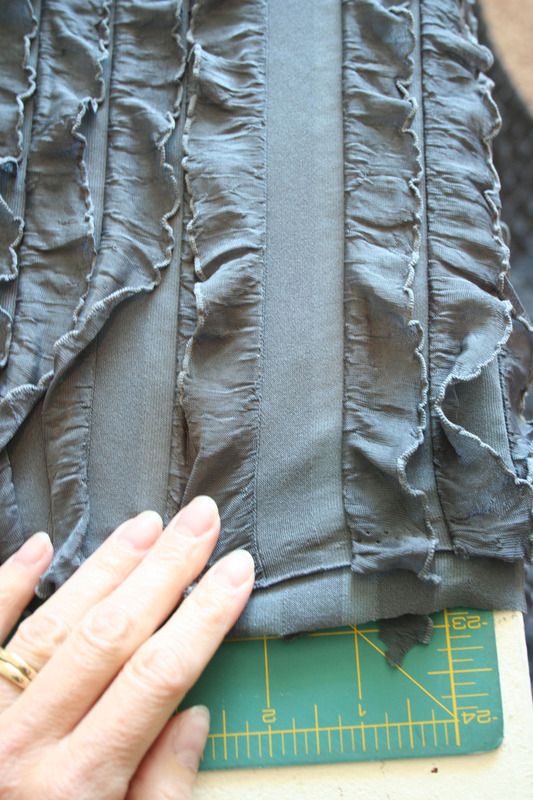 we will be pinning right under the first ruffle so that the next ruffle is just under the waist band when we sew it. -now find the middle of your fabric and the seam on the back of the waist band. -pin place, this is your starting point for the rest of your pinning. -find the front middle pin in place. -now you are going to find the middle between the two pins (basically your two sides) and pin those in place. -continue to pin halfway in between the pins till you have about 2" gaps between pins. you will end up with a lot of pins but it's worth it when you go to sew the skirt together. it'll make it easier. -next you are going to sew a top stitch around the bottom part of the elastic band (anywhere from 1/8" to 1/4" seam allowance. -gently pull your elastic to make the fabric lay flat against the elastic as you continue to sew around the whole waist. -trim extra ruffle under your elastic waist. i even dragged my next door neighbor i met only 6 weeks prior. she thought i was crazy but went with it. she's very nice and normally takes me and all of my "isms" with a smile. it was a super hot humid day and i was sweating like a pig by the end of it. we took this picture in between the super sunny hotness while there was a tiny bit of cloud cover. maybe i'll use this location another day, but i didn't like how the texture of the bale of hay was competing with the ruffles. 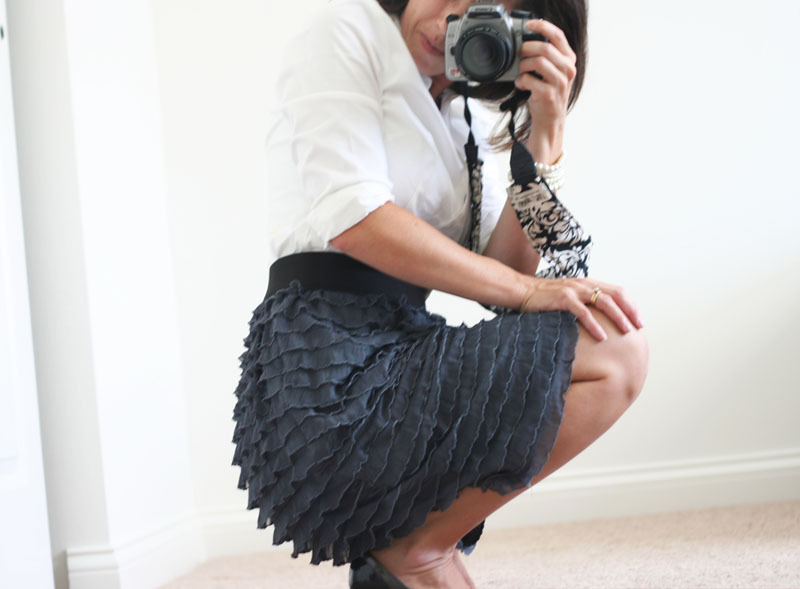 the simpleness of my son's white walls would definitely highlight the awesome ruffles of the skirt. but all the "texture" of my children in the pictures i tried to take it was competing with the ruffles...and seriously my legs looked the best in this one too...oh well. 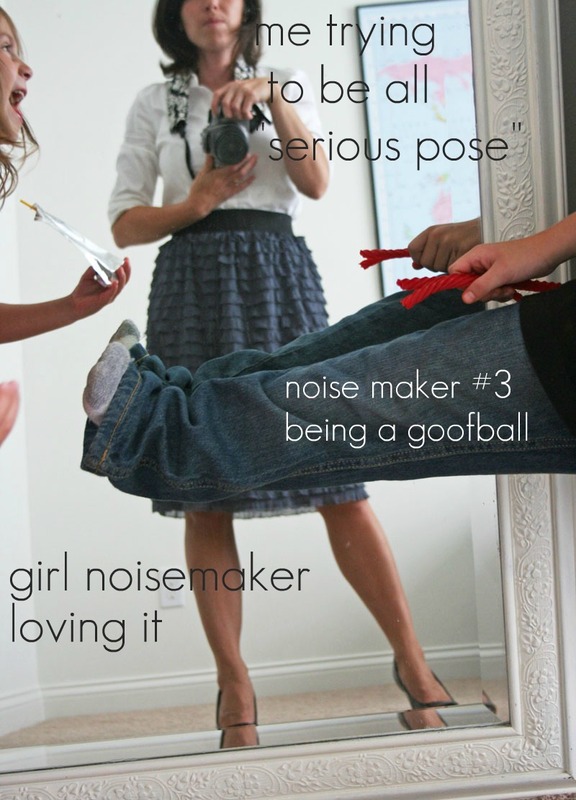 the look on the girl noisemaker is better to of been caught in the picture than a good shot of my legs. i just had to finally give up, and turn back into mom...seriously? how many times do i have to remind them: NO FOOD OUTSIDE THE KITCHEN AREA? i finally had everyone doing homework and whatnots to finally have a little bit of time in a very white room, great lighting and a mirror. i love how this skirt makes me feel. i feel all dressed up and really it looks amazing on. but what i love most is that really for how fancy it looks it didn't cost too much to make, and it took hardly any time or effort! that my friends is TOTALLY worth it. Adorable! Girl you should be a model - awesome poses. Cute, cute, cute! Wouldn't be cute on me though...I'm thinking it might make a cute pillow, or curtain? Um, you are beautiful...just sayin'. Pretty awesome that you can make the skirt and look hot modeling it too! You look beautiful! 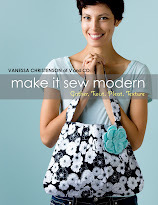 How do you manage to sew, bring up your children and do all the amazing things that you do? I envy you. Congratulations and good luck with all your new projects! The skirt is more than adorable - love it! And your pictures are FAB! It looks awesome on you! First off, the skirt is fabulous!! Must make one soon, but the kids in the post were hilarious. Excellent post, love the skirt, great photos, thank you for sharing. Check out those gams! Go V! I have some crazy raspberry colored ruffle fabric. I'm not sure that I'm brave enough to make a skirt for myself, but that's what toddlers are for, right? :D To wear the stuff we would never dream of? I LOVE IT!! 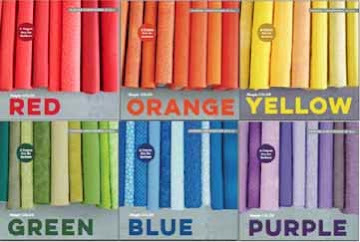 We have tons of different colors in and people are using this fabric for all kinds of things. Hope you are settled in your new digs!! Your are so cute and darling!!! I loved all of the pictures that you took of your skirt. Loved the tutorial too! Hope you are well and enjoying IOWA!!! Hugs to you! Love this!! Want one!! Wish I could sew like you! The skirt is killer. And as for the finger braided bracelets, my granddaughter can make these with her eyes closed. Braceletes, hairbands and necklaces are everywhere! As long as grandma keeps cutting the fabric, they keep getting made. ADORABLE!!!! I have some that exact fabric (and the elastic too!! )...just may need to put this on the top of my "to do" list! Oh, it looks like you are back to being a raisin ;) Hope you had a fantastic weekend! Love the skirt! Did you use a zig-zag or stretch stitch or just a plain old straight stitch? I agree - you should be a model! The skirt is beautiful and looks great on you! I'm a little too 'chunky' for ruffles but it's one more incentive to lose the excess. Looking forward to your FAQ sheet. Love the bracelets! you look completely amazing! I really want to make one, I think they even have some ruffle fabric at hobby lobby. yay! Sooooo wonderful! 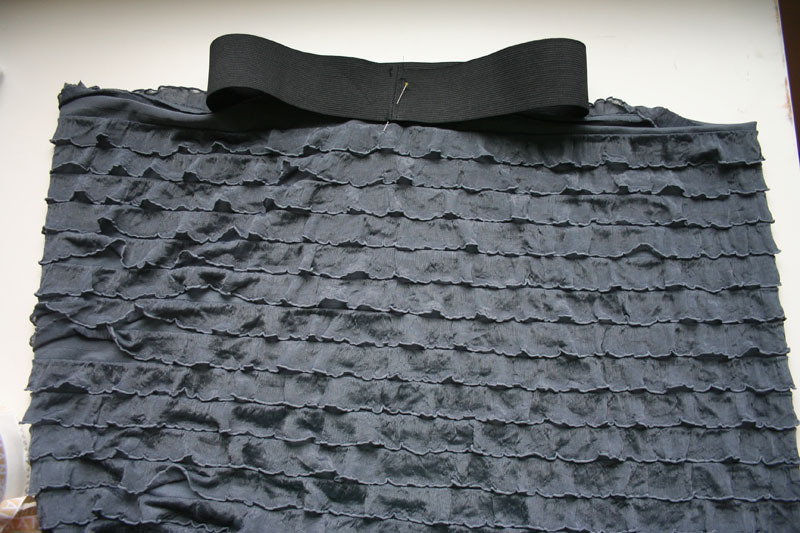 I just bought this exact color of fabric and have been dying to make a skirt for me, but didn't know how to go about doing it, and voila, there you are to save my day. Can't wait to make this, thanks a ton!!! I LOVE this! I don't even wear skirts, but I think I'm going to make this and hopefully get myself to wear it! Can you tell me where you got your fabric? sorry i forgot to mention i used a straight stitch, (just make sure you pull the elastic as you sew) i got the ruffle fabric from the ruffle fabric gals themselves (follow the link) or you can ask your local quilt shop if they have it or if they are willing to carry it! Love, love, love! Just ordered some fabric to make my own - thanks!! cute skirt and lol about your photo shoot! I always think its funny to see the behind the scenes shots. Love your skirt! I'll have to keep my eyes open for fabric like that. I don't often make things I can wear to work and really should. now I need to make this! well... maybe after I lose 20lbs.. LOL! it's fabulous on you darling! Oh, that is adorable! 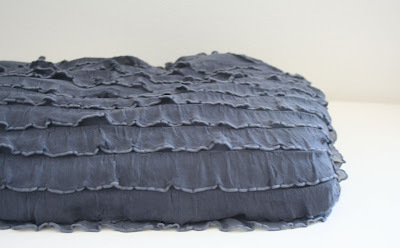 I was just looking at ruffle fabric at Fabric.com but passed it by because I couldn't think of what to do with it. Next order! Thanks for the tut, I'm going to share it (with all credit to you) on my blog. I love it too and you fantastic wearing it! I love the color and the skirt. I can see how it makes you feel amazing. I was wondering where you got your shirt? 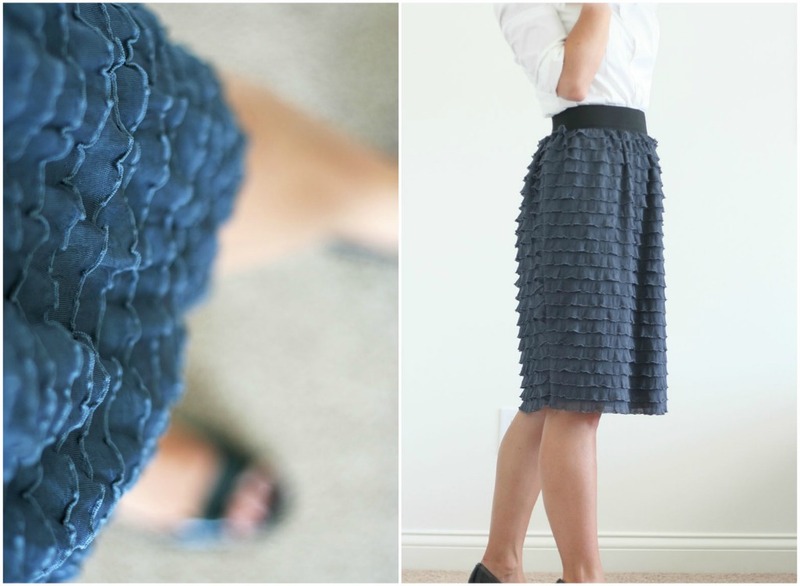 I love this post and the skirt is darling! 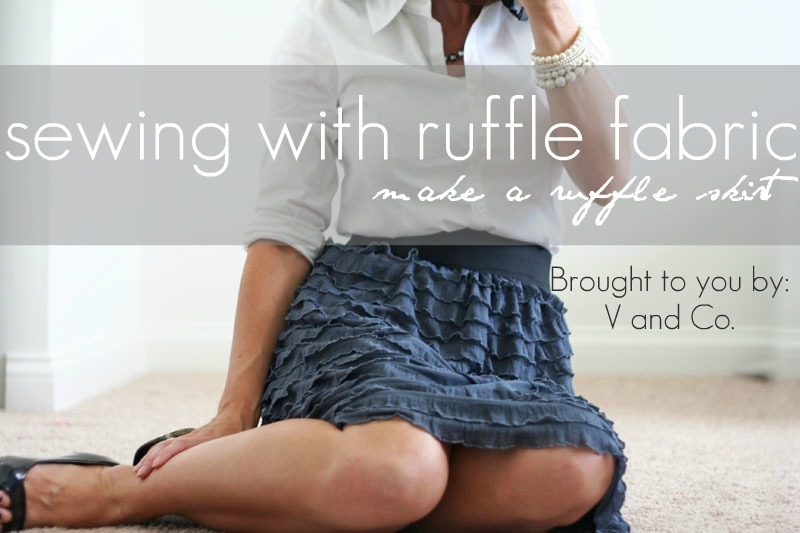 I had no idea there was such a thing as ruffle fabric! Love,love love it. Great job! Looks like you do all of your jobs very well. Way to go! Just found you on Pinterest, I'll be back. Think you could add 2 seams on each side to conserve fabric? I got my fabric in the mail yesterday and I am putting this lovely together this afternoon! Wish me luck! I like the picture with the hay bale. I wouldn't be able to find a clean wall to stand infront of at my house. With 4 kids if it is clean at one point it wont be for long. In addition, your photography is excellent. It has encouraged me to take a photography class. I love it! It's perfectly girlie yet still work appropriate. I've pinned a picture to remind myself to make my own someday! Love it! I also love the color! You should come and link up to my 'ruffled fabric linky party'. Everyone would love this skirt for themselves! 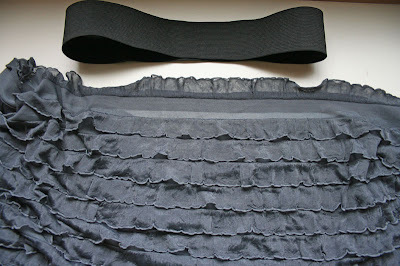 i ordered ruffle fabric saturday and today i have a skirt. i whipped it up right before leaving for work!!!! :) this fabric is so easy to work with and your tutorial was wonderful to follow! thanks! I just made this skirt and I am so proud of myself! I have only been sewing for a few months and it was super easy. Thank you so much for sharing this! Your skirt is beautiful and it looks great on you! I found you after making one for my daughter and I decided to see if anyone else had done. Your tutorial is perfect and I have shared it with my readers today as part of my Skirt Week. 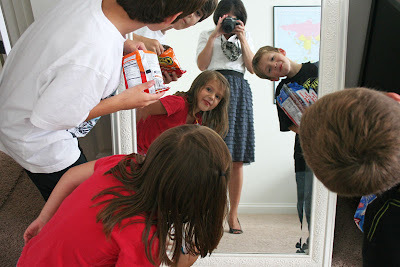 And I love the pictures - gotta love the kids getting in the way. LOL. I have some of this type of fabric so I am good to go Looks like a quick and easy project. Sewing room here I come! Where can I purchase this fabric. I was at Joann's Thursday evening, bought a pattern because they showed a child's skirt made with this fabric. When I asked the salesperson if they carried the fabric, she said she hadn't seen it in their store but she was still becoming familiar with the store layout and it was late.